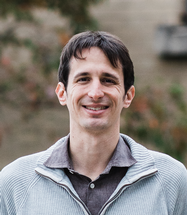 Dr. Vacanti's research interests include combining high-throughput proteomics, metabolomics, and bioinformatic analyses with targeted metabolic investigative methods including stable-isotope tracing and respirometry measurements to identify pharmaceutical or dietary interventions to correct/exploit metabolic dysfunctions. 1.) Identifying targetable mechanisms regulating differential metabolism across breast cancer cell lines. 2.) Computationally predicting drug targets or nutrient interventions to exploit or correct metabolic dysfunctions. 3.) Mapping the proteomic response to nutrient availability in developing skeletal muscle cells. Dr. Vacanti received a BS in Chemical Engineering from the University of Connecticut (2008), an MS in Chemical Engineering from the Massachusetts Institute of Technology (2010), and a Ph.D. in Bioengineering from the University of California, San Diego (2015). He completed postdoctoral training in the Department of Oncology-Pathology at Karolinska Institutet and joined the Division of Nutritional Sciences as an Assistant Professor of Molecular Nutrition in the autumn of 2018.